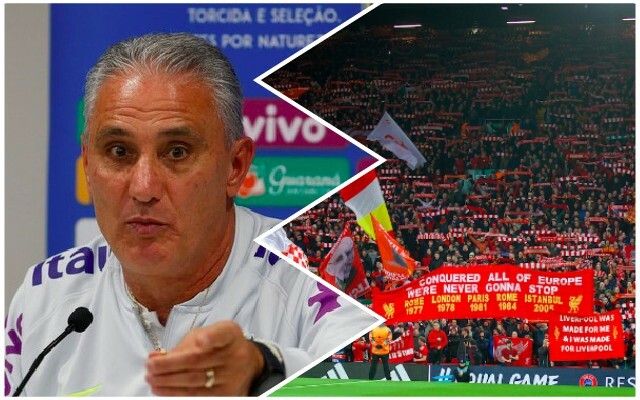 According to Brazil manager Tite, nothing compares to Anfield. The veteran boss oversaw his side beat Croatia at our famous ground yesterday, thanks to goals from Neymar and Roberto Firmino. And after the victory, Tite admitted watching Bobby at Anfield during our Champions League victory over Roma. It was the only time he’d been to a ground that insisted on him standing throughout! “I even followed the match between Roma and Liverpool here, the 5-2. I saw the game and the whole time I was standing, it was the first time I watched a game standing up, the fans wouldn’t let me sit down. We only sat in the break,” he told ESPN. Having stood for 90 minutes in the Main Stand of all places during that evening, we can confirm that seat breaks were not on the agenda! Tite has somewhat of a selection dilemma on his hands for Brazil in regards to Firmino and Gabriel Jesus. Manchester City’s youngster has always been his first-choice, but Firmino’s form at club level was much more impressive in 2017/18 and few believe Jesus is the better player anymore. It shouldn’t really concern us in truth, but Liverpool aren’t playing for months – so we have to hang our hat on something!